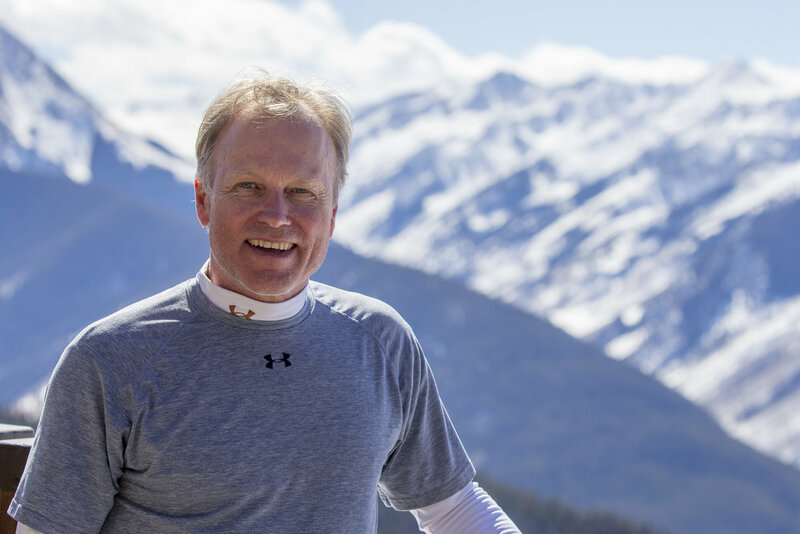 For the eigth installment, Ski With Kim profiled Scott Morehouse of Bethesda, Maryland. 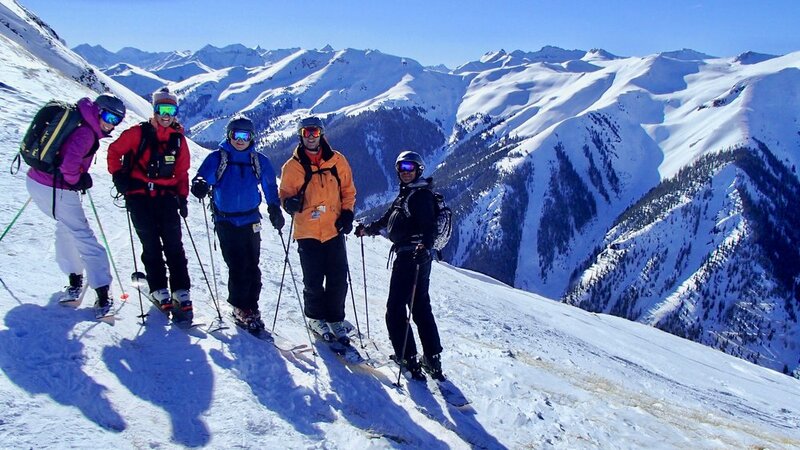 Scott enjoying a bluebird Colorado day in Aspen. How long have you been skiing with Kim? SCOTT: My first ski trip with Kim was in Niseko January 2016, but we grew up together and I have known her since high school. Scott living his best life in deep, deep JaPOW! Where have you skied with Kim? SCOTT: I have skied with Kim in Japan, Telluride/Silverton, Alta and Aspen. I plan to go on the Revelstoke trip this year..
SCOTT: All I can say is that every trip with Kim is notable. The groups she assembles, the guides and staff all combine to give you the time of your life every trip! Whether it's skiing the deep JAPOW, following Kim and her guides through incredible backcountry terrain, standing on tables spraying a crowd with magnums of Vueve at Cloud 9 or just meeting new "lifelong" friends; you will always return home with a big smile saying this was the best trip ever. Things you have learned from skiing with Kim or the people you meet on her trips? SCOTT: The best thing for me has been the people and lasting friendships I have made. And overall it’s re-connecting with Kim and how she took her passion and built it into a successful business to share with us! 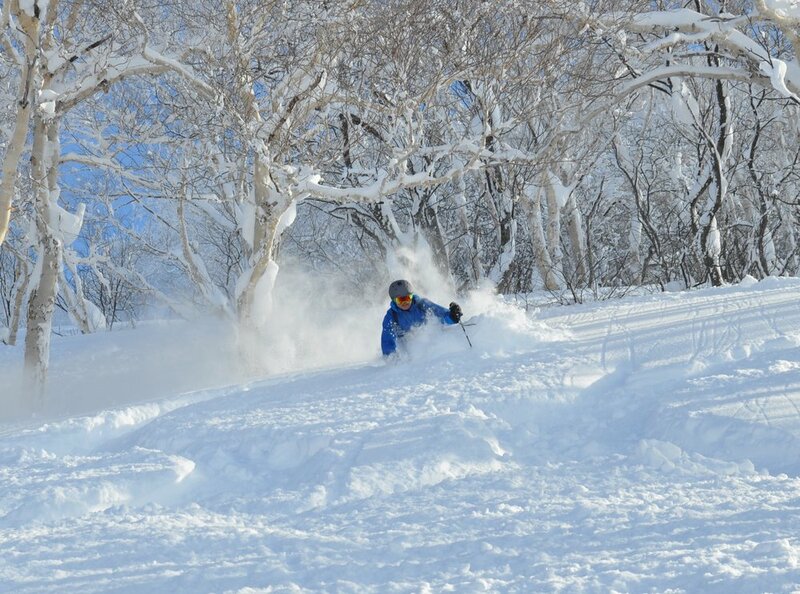 More JaPOW….just because he is loving it! How do you feel supported by Kim and others on trips? SCOTT - I could not imagine a better more well run adventure trip where you feel safe and challenged at the same time. How have you have gained friendships through your involvement? SCOTT: I know that I am going to see friends I have met on my first trip and there will always be new people to constantly grow lifelong and lasting friendships. Finally, I would like to say be prepared to belly laugh because your stomach is going to hurt big time! Kim & Scott: friends since high school!